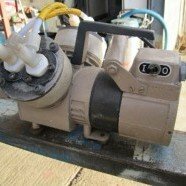 ﻿ GNP Equipment | ITT-Jabsco-28420-series-stainless-steel-pump. Made by ITT Jabsco Ltd. 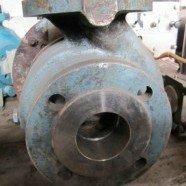 Stainless steel 316 contact parts with a flexible Nitrile impeller. 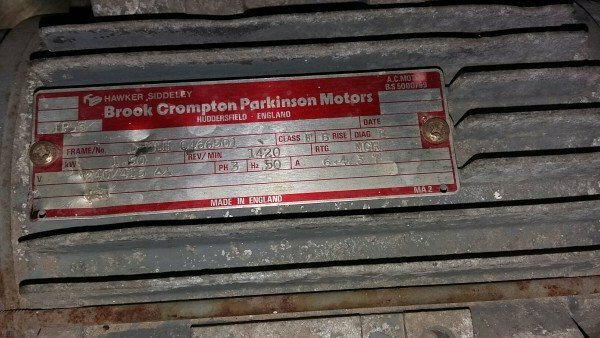 Powered by a 1.5 kw 1420 rpm foot mounted motor. Fitted with 32 mm RJT ports. 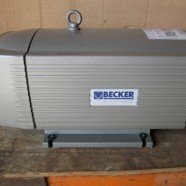 Becker rotary vane vacuum pumps. 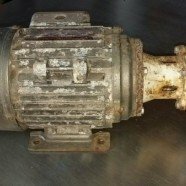 Bredal SR-25 and SP32 perastaltic hose pumps. 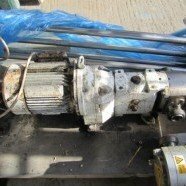 Cat triple ram pump set. 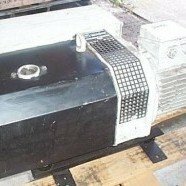 Dresser Duplex 316 stainless steel 40-25-CPX-200 pump. 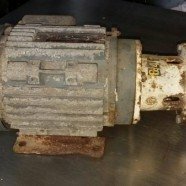 Dresser Duplex EO-50-32-CPX-200 stainless steel centrifugal pump. 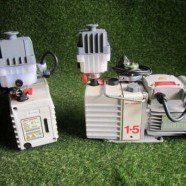 Edwards high vacuum pump set. 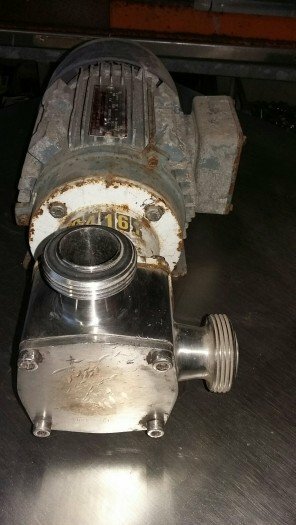 Flotronic 710 stainless steel diaphragm pump. 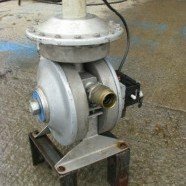 Flux stainless steel drum pump. 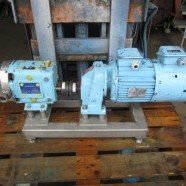 Grunfos CRN-4-120 multi-stage boiler pump. 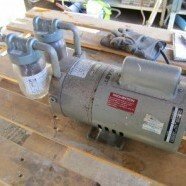 Hick-Hargreave EHR-2170 two stage stainless steel vacuum pump. H.M.D. 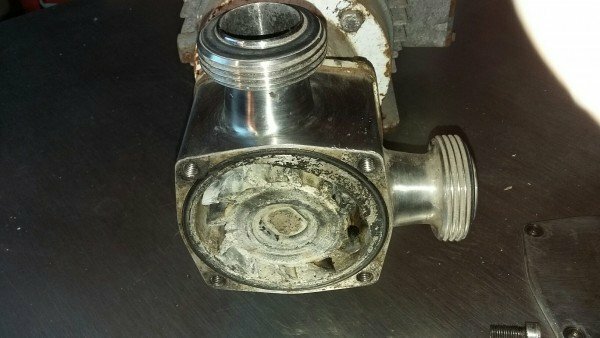 new and unused stainless steel sealess pump. 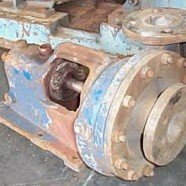 Howard 1" stainless steel jacketed lobe pump Model 1J-SJ. 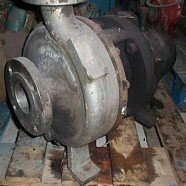 Howard lobe pump Model 1JL. 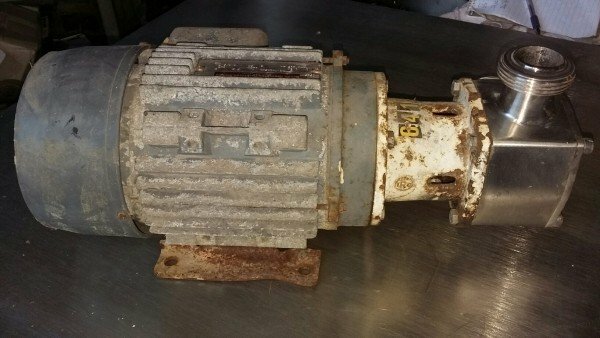 ITT Pureflo Unused Model 5520-1280Y Bi-Wing pump set. ITT Pureflo Unused five point lobe pump set for low shear Model 55420-1210Y. 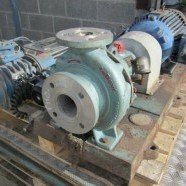 Stork (Johnson) 80 mm stainless steel self priming pump. 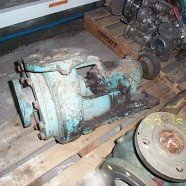 Labour 20 Q slurry pump. 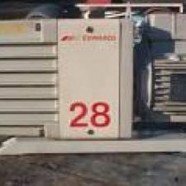 Labour A60LV high efficiency pumps. 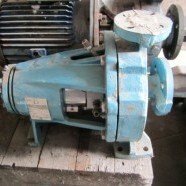 Labour stainless steel high volume 15Q pump. 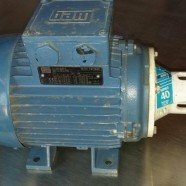 Leybold rotary vane vacuum pump. 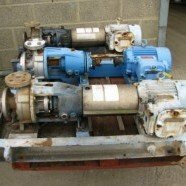 Midland Dairy Model D4 new and unused pump set. 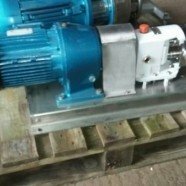 Mirlees Plenty 80 mm triple screw pump. Mono SMH-22 stainless steel pump set. 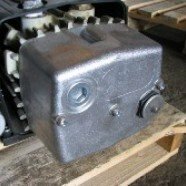 Pomac Model PLP-2-2-2.5 stainless steel unused circumpiston pump. 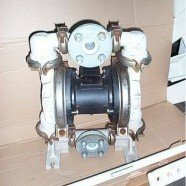 Sandpiper polyprop double diaphragm pump. 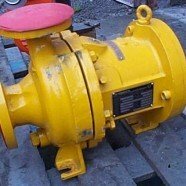 Sihi Rotan 50 mm cast iron gear pump. 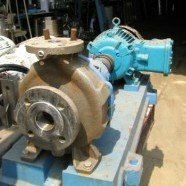 Stork Model SRT-R32 stainless steel gear pump. 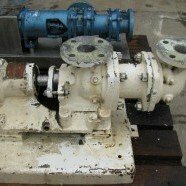 Waukasha stainless steel circumpiston pump model U-15. 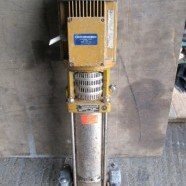 Worthington Simpson 65-50-CR-160 stainless steel pump.